Topics related to race and marketplaces have gained considerable momentum across disciplines and contexts worldwide. However, despite the many powerful scholarly works that investigate race and related topics (e.g. diversity, multiculturalism) within marketplaces, there is no unifying scholarly resource which the various stakeholders (e.g. academics, students, consumer advocates and marketing practitioners) can refer to, engage with, and learn from. Our edited book will remedy this issue by providing a cohesive collection of critical, cross-disciplinary, globally conscious scholarship in the emerging Race in the Marketplace (RIM) subject area. 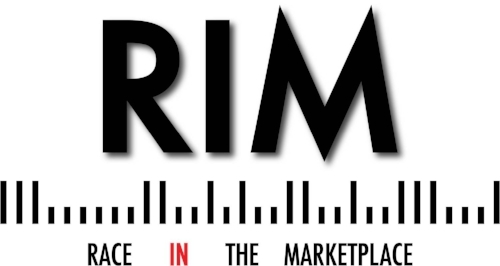 The RIM research area broadly encompasses the investigation of how race (and its intersecting socio-political constructs – e.g. class, gender, ethnicity, religion, and sexuality) impacts and is impacted by the functioning of various markets (defined as actual or metaphorical spaces of exchange such as retail, healthcare, education, sport, finance etc.). This new research area is, in essence, trans-disciplinary and critical, as it aims to synthesize and transform insights across research disciplines to address the reality of racial oppression, power, and privilege within marketplaces. Building on our successful inaugural RIM research forum held in Washington D.C in spring 2017, the objective of the edited volume is to continue the dialogue across domains, disciplines and geographical boundaries to contribute to an integrated understanding of race in markets. Accordingly, we invite submissions from scholars from across the globe from a wide array of disciplines (e.g. anthropology, cultural studies, economics, education, geography, history, information technology, management, marketing, sociology, political science, psychology and public health). The construction of racialized spaces, narratives, and identities into virtual /digital realms. The political and cultural significance of identities that are simultaneously racialized and sexualized by market and consumption practices. Creative research methods (e.g. mystery shopping methodologies) developed and implemented to advance and/or better enforce public policies. The direct and indirect role of racism in the marketization of domains such as healthcare; correctional services and education. Literature reviews that survey critical points in current literature relevant to the topic. Conceptual, methodological, or empirical studies, qualitative studies, experiments, or surveys that contribute to understanding of the RIM research area. We have received an official offer from a well-known international publisher but are waiting for the decision from another one before making a final decision. We aim to finalize the book by December 2018 to have it published in time for the 2019 RIM Research Forum (which will take place in May/June 2019). Consequently, our submission process will be strict, allowing little room for delays! Please consider this before committing. Their intended approach and/or methodology. How their intended chapter will critically engage with Race and Markets. The book section (see above) their intended chapter may be part of. A statement of commitment, indicating the author(s) intention to submit a chapter if accepted, and to also complete the necessary “revisions” (in a timely manner) if needed. Chapters submitted must not have been published, accepted for publication, or under consideration for publication anywhere else. Proposals should be submitted to: submissions@rimnetwork.net and guillaume.johnson@dauphine.fr. By February 15, 2018, potential authors will be notified about the status of their proposed chapter. When accepted, the authors will receive further information regarding the submission process, including the formatting guidelines. Full chapters should be submitted on or before July 1, 2018 via e-mail in a single attached Word file to: submissions@rimnetwork.net and guillaume.johnson@dauphine.fr. Final submissions should be approximately 5,000-6,000 words in length, excluding references, figures, tables, and appendices. All chapters will be reviewed by colleagues knowledgeable in the RIM subject area. We look forward to your chapter!